Rising crude prices are once again exerting pressure on the Indian rupee. The currency moved below the 60 mark against the dollar on Monday and is currently threatening to cross 60.5. That the fate of the rupee is closely linked to crude prices is not a secret; import of petroleum and oil products make up over 35 per cent of India’s merchandise imports. 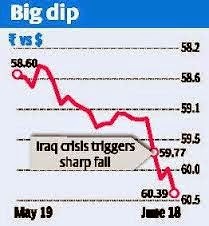 The rupee is down 1.75 per cent after the Iraq crisis broke out, making it the worst performer in the emerging market currency basket in this period. The inelasticity of demand for petroleum products within the country, coupled with the inability of the government to adjust domestic supply in line with demand at short notice, renders the country vulnerable to sudden spikes in global crude prices. Brent crude prices moved from $109 on June 11 to the current $113.5 — up 4.3 per cent. 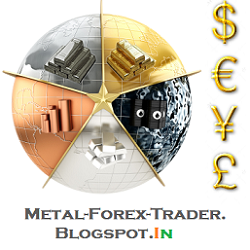 But besides crude prices, there are other reasons why the rupee will continue to be under duress this calendar. The rupee’s surge since the beginning of this calendar year has largely been due to foreign institutional investors buying Indian equity and debt. These investors net purchased $10 billion of Indian equity and $9.9 billion of debt, anticipating a change in the government at the Centre. But while foreign investors in equity could be taking a bet on the economic revival and consequent change in company earnings, debt investors are more fickle and their investments are closely linked to the currency and interest rate differentials between various countries. It was observed last year that as the rupee plumbed the low of 68.8 in August, FIIs had pulled out $12 billion between June and December 2013. Such situations have the potential to develop into a vicious cycle. As rupee depreciates on FII outflow, other FIIs, too, follow suit, selling debt as they do not wish to suffer forex losses, leading to further rupee depreciation. These short-term foreign investors also tend to take money back to their home countries in periods when risk-aversion soars. If the Iraq conflict escalates, money will flow back to destinations such as the US, as over half of the global foreign investors are from that country. Of late, there has been much rejoicing as the current account deficit for the December 2013 quarter declined to $4.2 billion, thanks to the regulators clamping down on gold imports. But RBI has recently relaxed some of these restrictions, enabling jewellers to import gold easily. This is expected to increase India’s gold imports. Increase in crude prices will widen this gap further. The current account deficit in recent years has been bridged with the aid of net receipts in the capital account; mainly FDI and FII flows. In periods of turbulence, the entire balance of payments can turn adverse as flows in the capital account too turn negative. The foreign exchange reserve, currently at $312 billion, is not too comfortable either. While this is 13 per cent higher than the low of $275 billion hit in September last year, it is still below the peak of $320 billion hit in August 2011. The reserves are sufficient to service only eight months of imports. This is still below the import cover of 10 months that is preferred. There are other worries too in the form of expanding external debt and fear of rising inflation as the poor monsoon leads to crop failure. The proposals in the Union Budget will also be keenly watched by global investors to gauge the government’s resolve on the reforms front. Any disappointment there can send equities crashing, sending the currency further lower. It is to be seen how much the elevated Indian interest rates and the additional liquidity unleashed by the ECB will mitigate these factors.